Some of the most innovative skin care treatments come from the latest developments in regenerative medicine, and microneedling falls into this category. At Blue Mussel Aesthetics in Juneau, Alaska, you can reap the benefits of microneedling with platelet-rich plasma (PRP) for firmer, younger-looking skin and less visible scars, wrinkles, and pores. Microneedling is minimally invasive, and there’s no downtime, so you can get back to your busy schedule. Call to make an appointment or use the convenient online booking tool. Microneedling improve skin texture, minimizes large pores, reduces discoloration, reduces fine lines, tightens skin and minimizes scars. 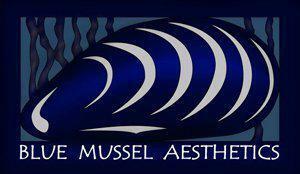 Blue Mussel Aesthetics utilizes the SkinPen, which is a cordless and automated microneedling device that uses medical-grade stainless steel single-use fine needles to create controlled micro-injuries to the skin. This stimulates the body’s production of collagen and elastin. The micro-channels created by the SkinPen allow topical gels, creams and serums to be absorbed more effectively, enhancing their effects in deeper layers of the skin. PRP significantly boosts the effects of microneedling and promotes faster healing by drawing your own blood and using your own platelets during the treatment. This instills growth factors, active proteins and pre-stem cells into the skin and micro-channels for more noticeable results. Topical numbing is utilized during treatment to ensure the pain felt during the procedure is minimal. The sensation usually described when pain is felt is a mild vibrating and stinging. Nitronox (laughing gas) as a pain relief option is available for an additional charge. Typical downtime is 24 hours. Specific aftercare is recommended to ensure optimal results. Oxygenetix make up can be used within 24 hours afterwards if desired.